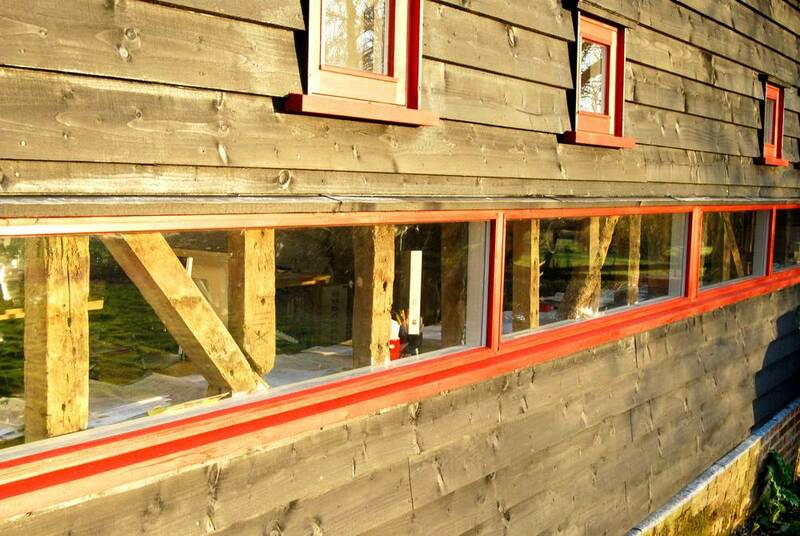 Our own office in Suffolk is a small scale commercial project which is recognised as having made a contribution to the revitalisation of the countryside, making it possible to live and work out of town. The building is deep green, beautiful and healthy. It has won a number of awards since it was completed in 2008. We feel part of the local community and have brought a little bit of life back to an area which otherwise would only see horse riders, tractors and four wheel drives. Long low window gives light and views to the working area. Unusual window shapes help to create a random pattern of openings to help the composition of the facade. 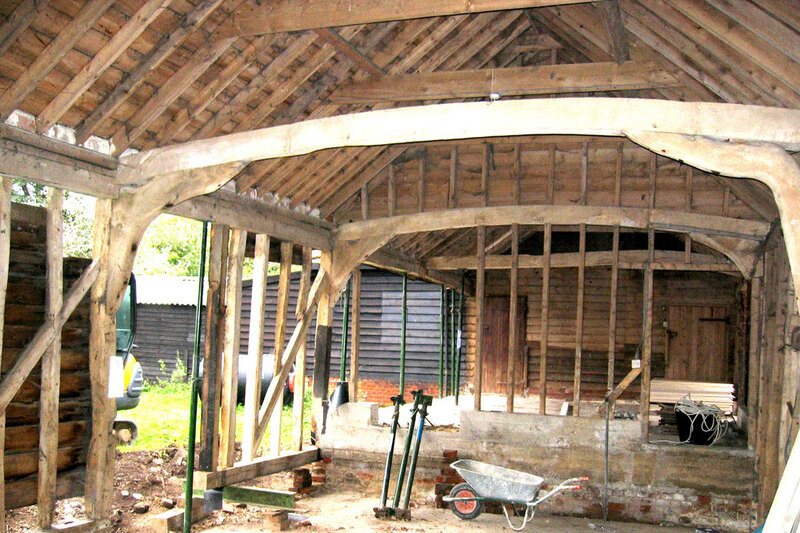 Natural wood stain was used through the project to reduce the environmental burden. 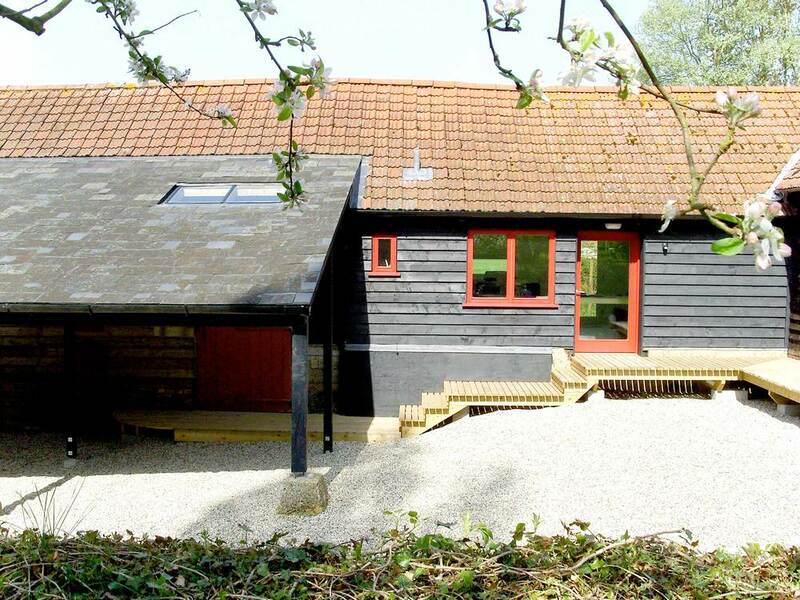 The studio has a calm atmosphere, extraordinary views of the countryside and a healthy feel.